CobraTrak Plus is a high quality stolen vehicle tracking system that is recognised by major insurers and works in several countries abroad. This vehicle tracker is Thatcham CAT 6 accredited and is fitted as standard to Audi, VW, Renault, Nissan, Mitsubishi and many other major car manufacturers. Please note this product has been superseded by the Vodafone Protect & Connect 6. CobraTrak Plus offers excellent security features such as Tow Away Alert and Tamper Alert. If your vehicle is towed away without the keys in the ignition or if the wires are cut, the tracker will activate. 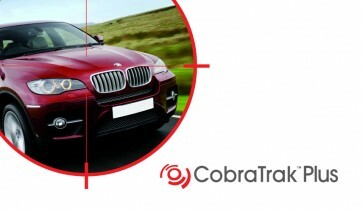 Cobra’s technology can locate stolen vehicles quickly thanks to its pinpoint GPS tracking. In terms of coverage, CobraTrak Plus offers international GSM coverage and European coverage in 36 countries. GPS pinpoint tracking - able to track accurately to within 10 metres. Benefits from international GSM coverage and can track overseas in 36 European counties plus South Africa and Russia. Supported by European police as well as the police force in the UK (no police hardware is required). Security features include Tow Away Alert and Tamper Alert. Cobra’s technology provides detailed history during the theft to aid recovery. Recognised by major insurers and sold secure approved. Automatic system health check and internal battery back-up.